Comcast knows our customers care about how Comcast uses, maintains, and shares the information we collect about them, and the choices they have regarding that use and sharing. Comcast holds customer privacy in the highest regard, and we are committed to protecting your privacy as we describe in this Privacy Notice. We value the trust you place in us as a customer when you subscribe to one or more of the Services described below. This Comcast Customer Privacy Notice (the "Privacy Notice" or "Notice") describes: (1) the types of information Comcast collects when you subscribe to, use, and/or access our Services; (2) how we use, share, and protect that information; (3) how long we retain that information; and (4) the legal limitations imposed on our collection, use, and sharing of information that personally identifies you. This Notice also provides you with information about how to access, review, and correct information that personally identifies you, how to set privacy preferences and opt out of certain uses and sharing of information, and your rights under federal law and this Notice concerning your personally identifiable information. In this Notice, the terms "Comcast," "we," "us," or "our" refer to the operating company, subsidiary, or affiliate of Comcast Cable Communications, LLC that (1) owns and/or operates the cable television system in your area, and (2) delivers one or more of the Services. The term "you" refers to you as a subscriber to one or more of the Services. This Privacy Notice applies to the Comcast-provided Xfinity(R) cable video ("video"), Internet, and voice services delivered over our cable system (including the services provided when you use the Xfinity Stream app and tv.xfinity.com to access Xfinity video as a cable service in your residence and when you subscribe to Internet service and use the Xfinity Wi-Fi service). This Privacy Notice also applies to Comcast-provided home security service. Collectively, these are referred to as the "Services" throughout this Privacy Notice. This Notice does not apply to other Comcast services or offerings, such as Xfinity Mobile, or other Comcast(R) and Xfinity-branded websites, applications, or streaming services, except as described above. These services, websites, and applications have their own privacy policies, which we post at https://www.xfinity.com/mobile/policies/privacy-policy and http://my.xfinity.com/privacy/. This Privacy Notice also does not apply to (1) information that may be collected through any other products, services, websites, or applications, even if you access those other products, services, websites, or applications through our Services and even if they are co-branded with Comcast brands or the brands or logos of our affiliated companies; (2) information collected by devices, such as a "smart TV," or through a third-party (non-Xfinity) mobile application, where the manufacturer or application owner has enabled information-gathering capabilities including automatic content recognition that we do not control; or (3) interactions with third-party content providers that you may access through the Services, such as online video providers you may reach through our set-top boxes. You should read the privacy policies for these other products, services, websites, and applications to understand whether and how they apply to you and the data they collect about you. 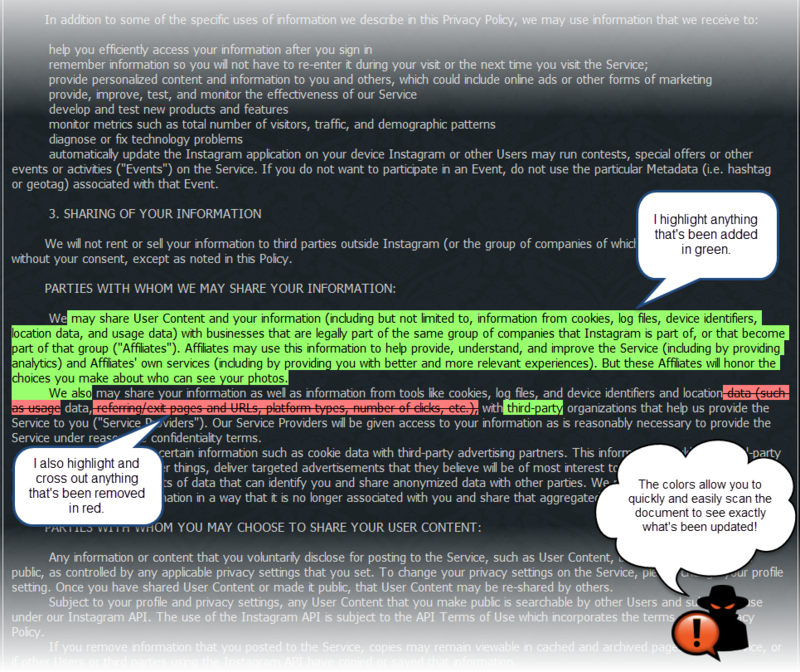 Please read this entire Privacy Notice to understand our privacy policies and practices. You can also find answers to your specific questions quickly by using the links below. This section describes the types of information Comcast collects when you subscribe to, use, and/or access one or more of the Services. Some of our Services permit you to establish secondary accounts, and if you do so we collect similar information in order to establish and maintain those accounts. When you allow others to use or access the Services through your account, we collect information about their use, as well. customer correspondence and other communications records, including records of calls and chats with our customer service representatives. When you use the Services, our cable system automatically generates, transmits, and collects much of this information as part of providing the Services to you. For example, we receive information about the use of set-top boxes, remote controls, program guides, video players, applications, and other devices and software connected to our cable system (“video activity data”). The video activity data includes, for example, which channels, programs, and advertisements are viewed and for how long. It may also include information about navigation through program guides and applications, and use of devices like remote controls and tablets. If you select various features of our equipment, such as voice commands or search, we also will collect and process the data needed to fulfill your requests. We may collect information from the devices you use to access the Services that tells us where you are at a specific point in time. For instance, we may know that you are at home when you chat with us through your Xfinity Internet service. We also obtain data and information about you from third parties. For example, when you request new or additional Services or features from us, we may obtain credit information from credit reporting agencies. Additionally, if you rent your residence, we may have a record of whether landlord permission was required prior to installing our cable services as well as your landlord's name and address. We may obtain additional information about you from third parties such as demographic data (for example, gender, age, and census records, etc. ), location data (for example, designated market area, zip code, etc. ), interest data (for example, sports, travel, and other recreational activities, shopping preferences, etc. ), or purchase data (for example, public records, loyalty programs, etc.). We may combine the data we collect from third parties with information in our business records, including information about your use of the Services. We may also combine information about your use of the Services with information we obtain from your use of other products, services, websites, and applications from Comcast. We use this combined data as described in the “Use of Information” section below. We use the information we collect to provide and improve the Services and our network, to communicate with you, to deliver relevant advertising, to create measurement and analytics reports, and to provide additional features and offerings. Sometimes we use information that personally identifies you, such as when we are authenticating your account or communicating with you. We also maintain and use information in de-identified or aggregated forms that do not identify you. We also use the information we collect to measure and analyze how our customers are using the Services. For video, this includes assessing which programs are most popular, how many people watch a program to its conclusion, whether people are watching advertisements, and what programming and video content we will carry on the Services. It also includes determining how our customers prefer to view certain kinds of programming when they use our video service, such as whether they like to watch certain programs live, or if they prefer to view them on demand, on mobile devices, or online. When we provide you access to third-party content providers through our set-top boxes, we may measure how often and how long you use such services, but your use of those third-party providers are controlled by the terms and privacy policies of those providers. For Internet and voice services, we similarly analyze customer usage data, such as the amount of bandwidth that is being used, the peak times of usage, or the types of services that are being used. We also use the information we collect to deliver and personalize our communications with you. For example, we may use the contact information you provide to inform you of Service updates or the status of a service request or outages, to invite you to participate in a survey, to collect amounts you owe, or in connection with other activities related to the Service. We will provide you with service-related announcements, such as a pricing change, a change in operating policies, a service appointment, or new features of one or more of the Services you receive from us through emails, texts, calls, Comcast-provided equipment, and other communications methods. You may select the manner in which you prefer to receive many of these communications by visiting the customer preference center at https://customer.xfinity.com/#/users/me/notifications. We may also use information about you and/or your use of the Services or other services we provide to determine which movies or television shows to recommend to you and to send you promotional communications for the Services and other products and services we think may be of interest to you. We may also use this information to help third-party advertisers and programmers deliver more relevant advertising. These promotional communications and advertisements may be directed to you because you subscribe to one or more of the Services, because of the way you use the Services, because you live in a certain geographic area, or based on demographic and interest information that we collect or obtain from other companies. These communications may be subject to your consent, as described in Section IV of this Notice (“Your Choices”). In no event will Comcast give your name or other personally identifying information to an advertiser without your consent. We and service providers who work on our behalf may use and combine data from our business records – including account information, video activity data, and other usage data – with data from third parties to create measurement and analytics reports. These reports do not contain any information that personally identifies you and instead contain de-identified or aggregate information. We use these reports for many of the purposes described above, such as for improving the Services, creating and delivering more relevant advertising on behalf of Comcast and other third parties, determining whether and how an advertiser’s messages are viewed, and analyzing the effectiveness of certain advertisements on the Comcast platforms and services and other platforms and services. We also use these reports to work with academic or research groups, and for other uses that help us develop and fund improvements in services and infrastructure. We may share these reports with programmers, advertisers, or others. To learn about the choices you have with respect to our use of your information for these purposes, see Section IV of this Notice (“Your Choices”). We limit the information we share and disclose to others as described below. In order to provide and support the Services, sometimes we use third-party companies as service providers that work on our behalf to transmit, collect, process, or store information for us. We require these service providers to treat the information we share with them as confidential and to use it only for the purpose of providing the services for which they have been engaged. These engagements typically include services such as billing and collections, administration, auditing and accounting, professional advice and consulting, surveys, marketing, service delivery and customization, maintenance and operations, security incident verification and response, service notifications, fraud prevention, and services to improve our programming and advertising offerings. For example, Comcast uses service providers to process payments for us and we may share your payment information with those billing processors when you make a payment. Or, Comcast may use a service provider to obtain information about you to assess your credit and payment status. Comcast may share the information it collects with its affiliates that offer other Xfinity and Comcast-branded products, services, and applications. For example, if you use your Xfinity Service account information to create an Xfinity Mobile Service account, we may share your Service account information with the Comcast company that offers that service. We do this so that these companies can provide services to you and to make it easier for you to use Xfinity Mobile Service and other Xfinity services. We may also share information about you with other Comcast companies (including NBCUniversal-branded companies and other non-Comcast or non-Xfinity-branded affiliates) for marketing and advertising purposes when we have any required consent to do so. Comcast may disclose any information about a customer’s account and use of the Services and their features to the primary account owner after appropriate authentication. The primary account owner may also authorize other users to access information on the account, and that may include data about you and your use of the Services. We will not share, sell, license, rent, or otherwise permit access to information that personally identifies you to an unaffiliated third party for that third party to market its products or services to you, unless we have the required consent to do so. Unless we have your affirmative “opt-in” consent, we will not sell or share any of your personally identifiable web browsing information, video activity data, sensitive information (such as financial account information or Social Security number), or call detail records that we collect from our cable system. We may, however, share de-identified or aggregate information with third parties for their own uses when those third parties commit to not re-identify that information or share it with others who may attempt to do so. As permitted by federal law, we may disclose your name and address to non-governmental entities, such as charities or businesses, so long as such disclosure does not reveal, directly or indirectly, the extent of your use of the Services or the nature of any transaction you make over our cable system. You have the right to prohibit or limit this kind of disclosure by asking to be placed on our “do not disclose” list, as described in Section IV of this Notice (“Your Choices”). We may transmit your name and/or telephone number to be displayed on a Caller ID device unless you have elected to block such information. Please note that Caller ID blocking may not prevent the display of your name and/or telephone number when you dial certain business or emergency numbers, 911, 900 numbers, or toll-free 800 and similar numbers. Once our subscribers’ names, addresses, and telephone numbers appear in telephone directories or directory assistance, they may be sorted, packaged, repackaged, and made available again in different formats by anyone. There are times when we may be required by law to disclose information about you to third parties. These disclosures may be made with or without your consent, and with or without notice, in compliance with the terms of valid legal process such as a subpoena, court order, or search warrant. If you subscribe to our Xfinity video service, Comcast may be required to disclose information that personally identifies you to a governmental entity in response to a court order. In this case, the Cable Act (defined below in Section V) requires that you be afforded the opportunity to appear and contest in a court proceeding relevant to the court order any claims made in support of the court order. At the proceeding, the Cable Act requires the governmental entity to offer clear and convincing evidence that the subject of the information is reasonably suspected of engaging in criminal activity and that the information sought would be material evidence in the case. If you subscribe to the Xfinity Internet, voice, or home security services, Comcast may be required to disclose information that personally identifies you to a governmental entity in response to a subpoena, court order, or search warrant, depending on the type of information sought. We are usually prohibited from notifying you of any such disclosures by the terms of the legal process. We may also seek your consent to disclose information in response to a governmental entity’s request when that governmental entity has not provided the required subpoena, court order, or search warrant. A non-governmental entity, such as a civil litigant, can seek information that personally identifies you or your use of the Xfinity video, Internet, or voice services only pursuant to a court order and we are required by the Cable Act to notify you of such court order. If Comcast is required to disclose information that personally identifies you to a private third party in response to a civil court order, we will notify you prior to making such disclosure unless legally prohibited from doing so. We may also disclose information that personally identifies you as permitted by law and without your consent when it is necessary to protect our customers, employees, or property; in emergency situations; or to enforce our rights under our terms of service and policies. In many instances, you have choices about how we communicate with you and how we use and share your information. targeted advertising for third-party products and services based on your interests. To manage your preferences, please visit our customer preference center at https://customer.xfinity.com/#/users/me/notifications. Once you sign in, you can review your options, get more information about the types of marketing activities you can opt out of, and make your choices. If you change your mind, you can return any time to update your preferences. We understand that sometimes you may want to speak to a Comcast representative who can assist you with these choices. You can contact Comcast at 1-800-XFINITY and ask us to put your name on our internal company “do not call,” “do not mail,” or “do not knock” list. You may also contact us at this number and ask to be placed on the “do not disclose” list, which will let us know that you do not want us to share your name and address with third parties, as described above. If you prefer to contact Comcast in writing instead of by telephone, you may send a written request to the address listed below under “How Do I Contact Comcast?” Be sure to include your name and address, your Comcast account number, and a daytime telephone number where we can reach you. The person who is identified in our billing records as the customer should sign the written request. If you have a joint account, a request by one party will apply to the entire account; for multiple accounts, your notice must separately identify each account covered by the request. If you are writing to opt-out of marketing calls, you must state the phone numbers or addresses that you wish to be placed on the relevant lists. If you subscribe to Xfinity voice service, when you are interacting with one of our customer service representatives, such as on a call, in our offices, or during an online chat session, we may ask you for your oral consent to the use of your customer proprietary network information or “CPNI” for the purpose of reviewing your account and providing you with an offer for other products and services. If you provide consent, Comcast may use your CPNI only for the duration of that telephone call or discussion in order to offer you additional services. If you deny or restrict your approval for us to use your CPNI, you will suffer no effect, now or in the future, on how we provide any services to which you subscribe. This Notice is designed to comply with federal and state law requirements, including California law, which is applicable to our customers located in California who are served by a cable television corporation. This Privacy Notice is designed to comply with Section 631 of the federal Cable Communications Policy Act of 1984, as amended, (the “Cable Act”). The Cable Act permits Comcast to use the cable system to collect personally identifiable information about you. Personally identifiable information is information that identifies you specifically; it does not include de-identified, anonymous, aggregate, or other data that does not identify you. We may collect personally identifiable information when it is necessary to render cable services or other services to you and to detect unauthorized reception or use of the services. We may use the cable system to collect personally identifiable information about you for additional purposes with your prior written or electronic consent. The Cable Act also permits Comcast to disclose personally identifiable information if the disclosure is necessary to render, or conduct a legitimate business activity related to, the cable service or other services provided to you; required by law or legal process; or limited to your name and address, subject to your opt-out consent. The frequency of any disclosure of personally identifiable information varies in accordance with our business needs and activities as described in this Notice. If you believe that you have been aggrieved by any act of ours in violation of the Cable Act or other applicable laws, we encourage you to contact us directly as described below in “How Do I Contact Comcast?” in order to resolve your question or concern. You may also enforce the limitations imposed on us by the Cable Act as applicable with respect to your personally identifiable information through a civil lawsuit seeking damages, attorneys' fees, and litigation costs. Other rights and remedies may be available to you under federal or other applicable laws as well. This Privacy Notice neither supersedes, enhances, nor modifies any arbitration agreement to which you may be bound as a subscriber to one or more of the Services. Section 222 of the Communications Act of 1934, as amended (the “Communications Act”), provides additional privacy protections for information about the quantity, technical configuration, type, destination, location, and amount of your use of telecommunications services, as well as Xfinity voice services, and the information about those services contained on your bill. This information is known as customer proprietary network information or “CPNI.” CPNI does not include your name, address, and telephone number, which is defined by the Communications Act as “subscriber list information.” However, that information is otherwise considered personally identifiable information. If you are a customer of Xfinity voice service or another Service that is subject to these requirements, you have the right, and Comcast has a duty, under the Communications Act and other applicable laws, to protect the confidentiality of your CPNI. In addition, the FCC’s rules provide additional privacy protections and choices regarding use and sharing that are specific to our voice services that we describe in this Notice. It is important that your account records contain accurate information. You may correct or update information about your account as described below. We will correct our records upon reasonable verification that the changes you request are proper. If you have Internet access, you can view and change certain information yourself by going to www.xfinity.com and signing in with your Comcast username and password to access the My Account feature. If you are a home security customer, you can go to the subscriber portal at www.xfinity.com/xhportal. You may also call 1-800-XFINITY and speak to a customer service representative. If you would like to examine your own personally identifiable information, you may do so at your local Comcast office upon reasonable prior notice to us and during our regular business hours. To do so, please contact us by mail at the address below or telephone at 1-800-XFINITY, giving us a reasonable period of time to locate and, if necessary, prepare the information for review, and to arrange an appointment. You will need to provide proper identification and you will only be permitted to examine the personally identifiable information in your account and no other account. If you make an affirmative, written request for a copy of your Xfinity voice CPNI, we will disclose to you the relevant information we have at your account address of record, or to any person authorized by you, if we reasonably believe the request is valid. However, subscribers to our Xfinity voice services should be aware that we generally do not provide them with records of any inbound or outbound calls or other records that we do not furnish in the ordinary course of business (for example, as part of a bill) or which are available only from our archives, without valid legal process such as a court order. In addition, we cannot correct any errors in customer names, addresses, or telephone numbers appearing in, or omitted from, our or our vendors’ directory lists until the next available publication of those directory lists. Further, we may have no control over information appearing in the directory lists or directory assistance services of directory publishers or directory assistance providers that are not owned by us. Comcast reserves the right to charge you for the reasonable cost of retrieving and photocopying any documents that you request. We follow industry-standard practices to secure the information we collect to prevent the unauthorized access, use, or disclosure of information about our customers. These security practices include technical, administrative, and physical safeguards, which may vary, depending on the type and sensitivity of the information. Although we take the responsibility of safeguarding your information seriously, we cannot guarantee that these practices will prevent every unauthorized attempt to access, use, or disclose your information. Comcast maintains information that personally identifies you in our regular business records while you subscribe to one or more of the Services. We also maintain this information for a period of time after you no longer subscribe to a Service if the information is necessary for the purposes for which it was collected or to satisfy legal requirements. These purposes typically include business, legal, or tax purposes. If these purposes no longer apply, we will destroy, de-identify, or anonymize the information according to our internal policies and procedures. As required by the Cable Act, we will provide you with a copy of the current Privacy Notice at the time we enter into an agreement to provide any cable service or other service to you, and annually afterwards, or as otherwise permitted or required by law. We may modify this Notice at any time. You can view the most current version of this Notice by going to http://www.xfinity.com/Corporate/Customers/Policies/CustomerPrivacy.html. If we make material changes to this Privacy Notice, then we will provide you at least 30 days’ notice and will also notify you by e-mail, direct mail, bill messaging, or other reasonable methods that we select. If you continue to use the service following notice of the changes, we will deem that to be your acceptance of and consent to the changes in the revised Privacy Notice. If we make material changes that will result in a new use, disclosure, or permission of access to previously collected information that personally identifies you, we will obtain your opt-in consent before implementing those specific changes.